I don’t know if my game is missing some pieces or what, but I have umpteen different wooden doors and not a single arch to match them. So I made one. 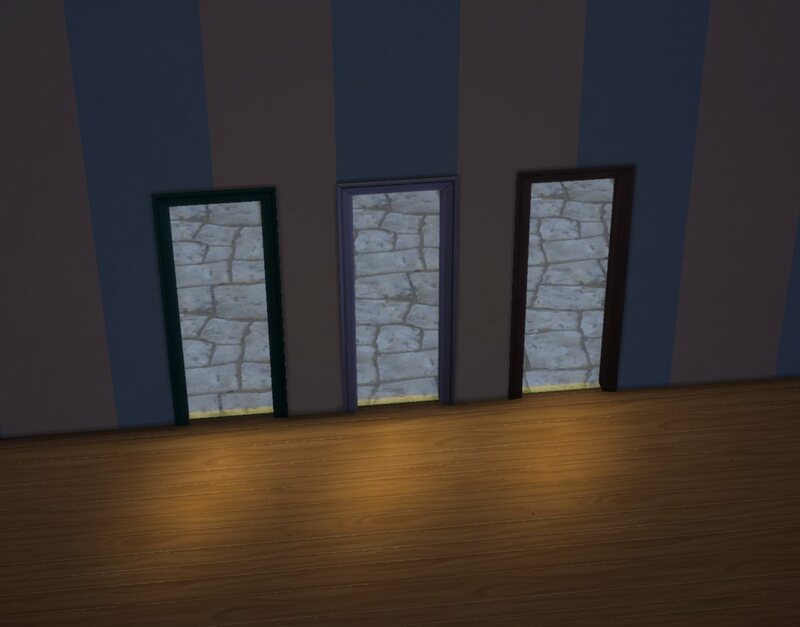 Update 2015-07-10: Updated with the door sounds (the existence of which I wasn’t even aware of until now, thanks Kyrien for the heads-up) removed. See post in comments for more info. Update 2015-04-04: Added a two-tile version (separate package), and also fixed the LITE and one of the colour tags in the existing one (which means it will now let light through, and you can search for the light brown version by colour). The two-tile arch looks exactly the same but sits in the middle of two tiles. Two matching wooden two-tile two-panel doors are available here. 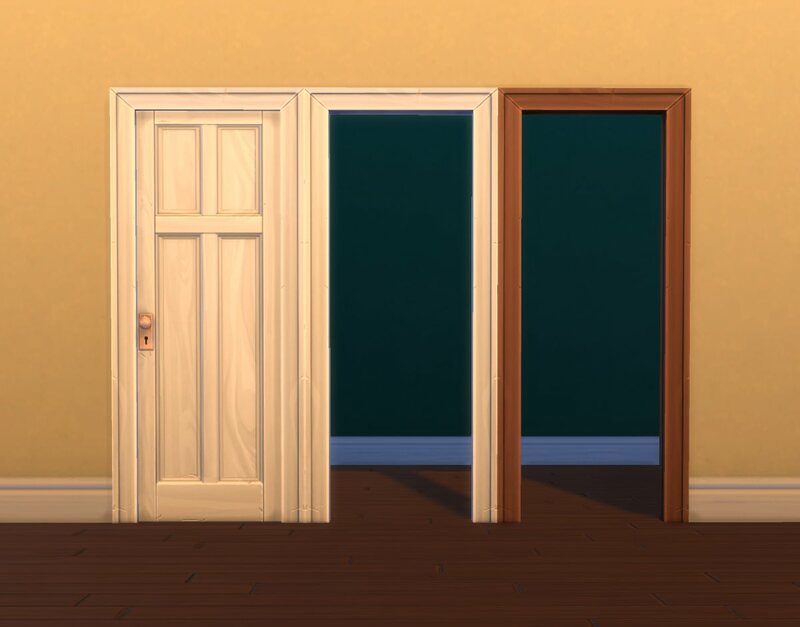 This will pick up all of its textures (and also overrides, if you have any) plus some other stuff from the Single-Panel Wooden Door; I think the door frame is the same on all of the single-tile doors so it will match any of them. 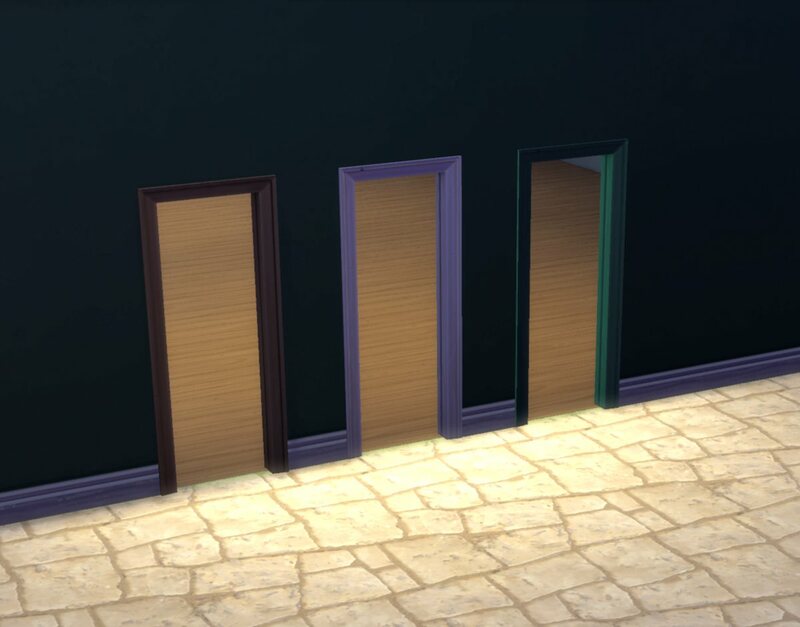 Unlike the Single-Panel door it is also properly colour tagged and has a non-borken wall mask. 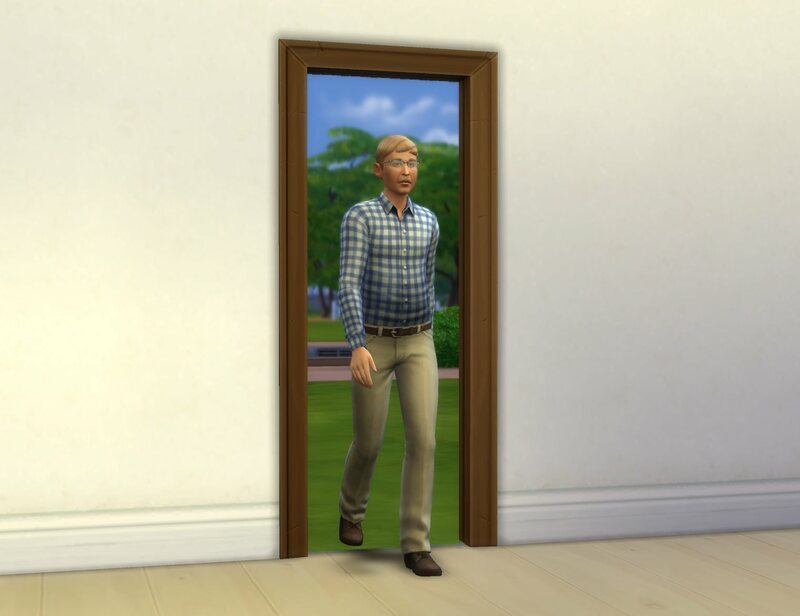 It’s in the catalogue with the other door frames and costs 85§. 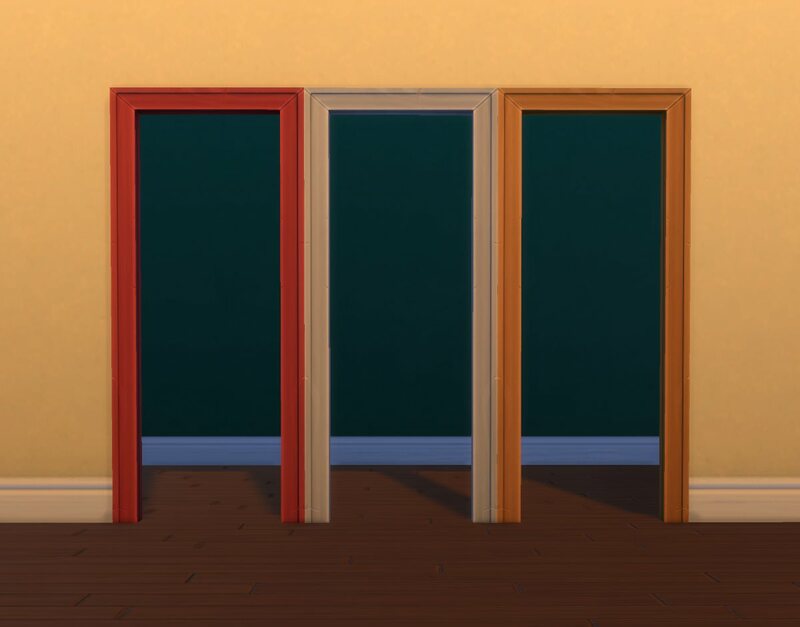 Note that the additional colour options for these doors came with 1.3.18.1010 (mid December 2014), so they will only show up if you have that. BY-NC-SA Creative Commons; for the Attribution please link to this thread. 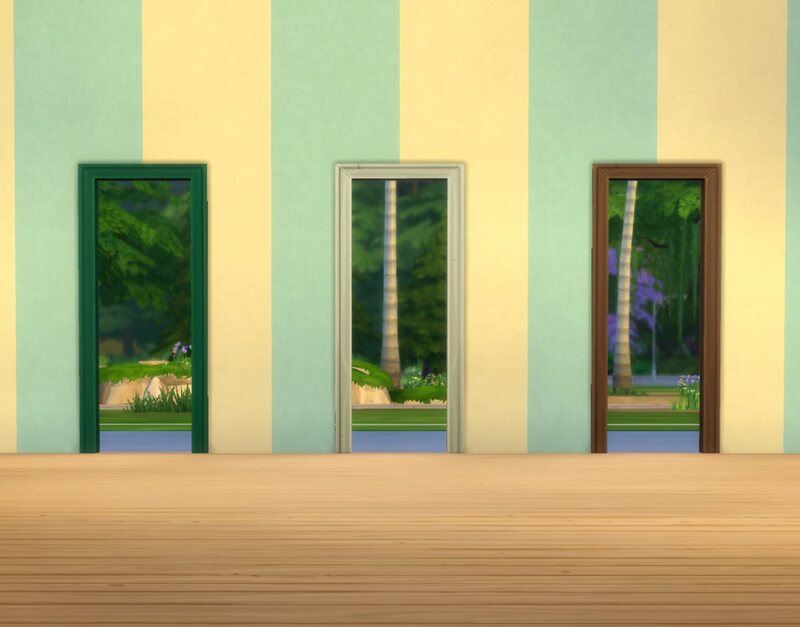 Actually instead of recolouring this frame it would be smarter to recolour one of the doors and then reference that. blender, s4pe, TSRW, Milkshape (only for im-and export, because urgh), ModdingToolkit.